Italy is a civil law country. The law is not created by court decisions, as in common law countries, but through legislative statutes. Disputes on civil and commercial matters are resolved by either state courts of law or private arbitrators. The state courts having jurisdiction over civil and commercial disputes are the following: courts of first instance, courts of appeal and the Supreme Court. There is one justice of the peace and one tribunal in all major municipalities. The justice of the peace is a single honorary judge, whose competence is limited to specific disputes, including disputes relating to moveable goods for a maximum value of €5,000. Tribunals, in addition to deciding on appeals against the decisions of justices of the peace, rule on all civil and commercial disputes that fall outside the competence of justices of the peace. Tribunals can be composed of one or three ordinary magistrates, depending on the nature of the dispute. Certain tribunals have specialised divisions that deal with specific matters (such as employment, bankruptcy, corporate and intellectual property). There are 26 courts of appeal in Italy. Courts of appeal are composed of three ordinary magistrates and rule on appeals against decisions of the first instance court and arbitral awards. Generally, only the claims, objections and evidence submitted by the parties before the first instance tribunal are admissible in appeal proceedings. If, following appeal, the decision of a court is overruled, the court of appeal also decides on the merits of the dispute and its decision replaces the annulled decision. Particular rules apply in this respect where the court annuls an arbitral award. There is one Supreme Court in Italy, in Rome. The grounds for recourse to the Supreme Court are strictly established by Article 360 CCP. The Supreme Court sitting en banc overruled previous cases in which punitive damages were considered contrary to public policy for the purpose of recognition and enforcement of foreign judgments and arbitral awards. 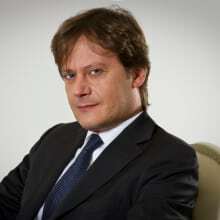 In particular, the Supreme Court stated that a foreign judgment awarding punitive damages is not incompatible with Italian public policy, provided that the foreign judgment is based on legal provisions that precisely identify the cases in which such damages can be awarded and, in such cases, the awardable amounts can be reasonably foreseen. The Supreme Court held that an arbitration clause in a contract does not automatically extend the arbitral tribunal’s jurisdiction to disputes arising from other contracts that are connected with the said contract. The CCP establishes the general rules that govern the first, second and third instance proceedings before state courts relating to civil and commercial disputes. Moreover, it governs enforcement proceedings and special proceedings such as summary proceedings seeking interim protective measures or payment injunctions. It also establishes the general rules that govern arbitration (see Section VI, infra). The CCP provides for three paradigmatic categories of court procedures: ordinary proceedings, summary proceedings and labour proceedings. However, there are other laws that govern proceedings before state courts that relate to particular disputes on civil and commercial matters, such as bankruptcy (Royal Decree No. 267/1942), divorce (Law No. 898/1970), and intellectual property (Legislative Decree No. 30/2005). Should the defendant intend to raise counterclaims or objections that only the parties can raise, or call third parties, the defendant must file a statement of defence at least 20 days before the first hearing. If not, the defendant can file its statement of defence on the hearing date. At the first hearing, at the request of one of the parties, the court must authorise both parties to simultaneously file three subsequent briefs within strict deadlines (30 days, 30 days and 20 days). In these briefs, the parties must better specify their claims and objections and offer further evidence. The subsequent hearings are devoted to taking evidence, which the court admits at its discretion. When the court holds that no further evidence needs to be taken, it schedules a hearing at which the parties must state their final conclusions. The parties must then file two conclusive briefs within 60 days and 20 days of the hearing date. However, different rules may apply when the court is composed of a single judge. Generally, the court issues decisions within 30 or 60 days from the date of filing the second and final brief, depending on whether the court is composed of one or three judges. These proceedings start with an application filed directly with the judge, who then fixes the hearing for the parties’ appearance. After having been served with the notice of application and the judge’s order fixing the hearing, the defendant submits a written reply 10 days before the hearing. During the hearing, if the judge concludes that the parties’ defences can be examined summarily, he or she proceeds in the most appropriate manner and issues an order, which has the same effect as a judgment. The CCP allows a court to grant interim measures in favour of one party, prior to or pending a trial, on one party’s application. The subject of the interim protective measures varies from case to case. Protective measures range from an order to refrain from interfering with the applicant’s right to freely dispose of its properties, to an order to refrain from calling a first-demand performance bond issued by the applicant’s bank, to a temporary seizure of goods or property held by the defendant, etc. As a general rule, interim protective measures can only be granted if the applicant provides the court with clear evidence of the existence of both the right that the measure is aimed at protecting and the serious and actual risk that the right be harmed if not temporarily protected pending the trial on the merits. Protective measures can be granted ex parte if the circumstances so dictate, subject to confirmation, revision or annulment at a later stage, after a hearing, based on the defences of the other party. In Italy, consumer class actions are governed by Article 140 bis of Legislative Decree No. 206/2005 (the Consumer Code). This article entered into force on 1 January 2010 and applies to allegedly unlawful activities carried out after 15 August 2009. Consumers can bring class actions against companies for damage caused by breach of contract, by product liability or by unfair and restrictive business practices. Only consumers have the right to appear and be heard in court, but associations and committees of which they are members may represent the class (provided that they demonstrate their ability to adequately represent the interests of each class member). Class actions must be brought before the civil court of the capital of the region of the company’s registered office; however, certain regional courts have jurisdiction over smaller regions.3 At the first hearing, the court decides and issues an order on admissibility. The order may be challenged before the court of appeal within 30 days from its disclosure or notification (whichever occurs first).4 The order also sets out the procedure for the public notice and the requirements, including the deadline, for joining the class action (consumers that join the class need not appoint legal counsel). d the class representative appears unable to adequately represent the interests of all the class members. After the admissibility stage, the proceedings continue in accordance with the standard procedural rules and the instructions in the admissibility order. If the court rules in favour of the class, it either orders the losing party ex aequo et bono to pay the amounts due to the claimants or establishes the criteria for calculating the amounts. The class action legal framework is based on an ‘opt in’ mechanism, meaning that the court’s ruling is binding only on the parties that joined the class action. Non-joiners may file individual claims, but a class action relating to the same facts and brought against the same parties as in another class action may not be filed after the deadline to join the other class action. Very few class actions have progressed beyond the admissibility stage since class actions were introduced in Italy. However, one class action dispute was decided in 2017 and ruled in favour of the claimants (a group of roughly 6,000 commuters): each claimant was awarded €300 as compensation for damages suffered following a series of delays and cancellations of trains from 9 December 2012 to 17 December 2012.5 Other pending class actions that have progressed beyond the admissibility stage include the following: (1) two class actions against two major automobile manufacturers (for unfair and restrictive business practices involving the misrepresentation of vehicle emissions); and (2) one against a major smartphone and tablet producer (which allegedly misrepresented the storage capacity of its devices). Another type of class action (governed by Legislative Decree No. 198 of 20 December 2009) may be brought against the public administration and public services providers. This type of class action does not seek to obtain damages, but rather to restore the correct performance of a function or a service to the public, and thereby enhance the quality of the public administration. Parties, both individuals and entities must be represented by a qualified lawyer before state civil courts. However, an individual may stand in trial without counsel before the justice of the peace, provided that he or she is at least 18 years old and is not legally incapacitated, and the value of the case does not exceed €1,100. The service from Italy to a Member State of the European Union of judicial and extrajudicial documents relating to civil and commercial matters is governed by EC Regulation No. 1393/2007. With regard to the service of documents to a non-Member State, Italy has ratified the Hague Convention of 15 November 1965. If the state of destination has not ratified the 1965 Hague Convention, but a bilateral treaty is in place, the service method established by the treaty shall apply. In the absence of a bilateral treaty, the service shall be made according to Articles 37 and 77 of Legislative Decree No. 71/2011 (i.e., transmission from and to consular authorities) or, if not possible, according to Article 142 CCP (i.e., transmission by the court’s clerk of two copies, one by mail directly to the addressee and one through the office of the Public Attorney to the Ministry of Foreign Affairs, which will then deliver it to the addressee). If the judgment has been rendered by the court of a Member State of the European Union, EU Regulation No. 1215/2012 applies and no declaration of enforceability is required. f the judgment is not contrary to public policy. The assistance by Italian courts to courts of another Member State of the European Union (other than Denmark) in the taking of evidence in civil or commercial matters is governed by EC Regulation No. 1206/2001. The assistance by Italian courts to courts of another state not a member of the European Union shall take place according to the specific bilateral treaty between Italy and that state. In its absence, it shall take place in accordance with the provisions of Law No. 218/1995, according to which, both a party in a foreign trial and the court before which the trial is held may request the assistance of the Italian courts in the taking of evidence in Italy. The parties and their officially appointed counsel may access the court file at any time. Third persons may not access the court files. However, unless otherwise provided, the court must grant permission to third parties to make copies of acts or documents contained in the file (Articles 743–744 CCP). Courts’ final judgments are public. The parties bear litigation costs. Each party must advance the relevant fees. However, as a general rule, the court shall order the losing party to refund the legal expenses borne by the counterparty, unless either both the parties have partially lost or the question of law of the case was exceptionally new or there was an overruling or the expenses borne by the winning party were exorbitant or unnecessary. Litigation can be funded by a third party; however, this is not common in Italy. As of 15 December 2014, conflicts of interest are regulated by a professional code of conduct (the Code). The relevant provisions are binding on Italian lawyers and foreign lawyers working in Italy. The sanctions are provided for by the Code and are meted out in proportion to the seriousness of the infringement, ranging from a simple warning to disbarment. If the lawyer acts in situations of conflicts of interest even after having obtained clear and conscious consent from every client, he or she will infringe the ethical rule. Article 24(5) of the Code establishes that the lawyer’s duty to refrain from acting in situations of actual or potential conflict of interest applies also where the parties with conflicting interests consult two different lawyers belonging to the same firm or partnership, or working in the same office. Chinese walls are possible and frequent, but do not necessarily excuse lawyers from complying with their duty to refrain from acting in situations of actual or potential conflicts of interest. Even where information barriers are put in place, every lawyer should decline an assignment in cases of existing or potential conflict, if these barriers are insufficient to exclude the conflict. Legislative Decree No. 231 of 21 November 2007 (as last emended by Legislative Decree No. 90 of 25 May 2017, which transposes European Directive 2015/849 on the prevention of the use of the financial system for the purpose of money laundering and terrorist financing) binds lawyers to strict obligations regarding (1) due diligence measures concerning clients, when participating in financial or corporate transactions, including when providing tax advice; and (2) reporting to authorities any suspect transactions. Furthermore, by virtue of deontological rules, a lawyer must not accept any assignment from a potential client when he or she can reasonably assume that professional services would be connected with an illegal business or transaction, and must not receive from or manage any funds of a client where the client cannot be properly identified. Lawyers must record and keep all documents and information relating to their client’s transactions for 10 years after the business relationship with the client has ended. As regards the reporting obligations, on their own initiative lawyers must promptly inform the competent authority where they know, suspect or have reasonable grounds to suspect that money laundering or terrorist financing is being or has been committed or attempted. However, pursuant to Article 35(5) of Legislative Decree No. 231/2007, this obligation does not apply to information acquired by lawyers in relation to any judicial proceedings, or in the course of ascertaining the legal position of a client; therefore, legal advice remains subject to the obligation of professional secrecy. Processing of personal data in Italy is regulated by Legislative Decree No. 196 of 30 June 2003 (the Data Protection Code), which consolidates all laws and regulations relating to data protection, and Regulation (EU) 2016/679 on the protection of natural persons with regard to the processing of personal data and on the free movement of such data (the GDPR) as of 25 May 2018.
b the data subject’s consent. However, the data subject’s consent is not required, inter alia, where the relevant processing activity is aimed at investigating, claiming for or defending a right in a legal action.10 Therefore, since legal practice is generally aimed at defending a right in a legal action, these data processing activities can be carried out without collecting the prior data subject’s consent (i.e., either a client or a third party).11 Indeed, under this exemption, lawyers are generally allowed to conduct defensive investigations on strictly confidential personal data as, for instance, in case of audit procedures on professional email folders or computers aimed at acquiring documentary evidence. On the same ground, sharing of personal data between lawyers, either nationally or internationally,12 is allowed as long as such activities fall within the ‘defensive’ exception above. Finally, the admissibility in civil legal proceedings of personal data processed in breach of the data protection rules must be assessed under the CCP only (not the Data Protection Code), as Article 160, Paragraph 6 of the Data Protection Code expressly states. Therefore, the breach of the Data Protection Code does not lead to the exclusion of the evidence from the proceedings if such evidence is genuine, can be verified by the civil court and is relevant to the matter.13 Conversely, personal data processed in breach of the data protection rules are excluded by labour law proceedings. The Data Protection Code is in the process of being harmonised with the GDPR, however, this should not lead to a change in the principles described above. The CCP contains no rules relating to correspondence among counsel and parties. According to Articles 210 and 118 CCP, the court may order a party to produce documents, or may order the inspection of specific places if it deems it relevant for the purpose of deciding the case. However, the court may not uphold the request by one party to order the disclosure of documents if this may cause unjustified harm to the other party or violate a professional secret. Article 48 of the Code establishes that, unless otherwise provided, the correspondence between the parties’ counsel expressly qualified as confidential, or regarding the negotiation of an amicable settlement, cannot be filed nor referred to in the court proceedings. The Code does not apply to in-house counsel. If the in-house counsel is registered with the Italian Association of In-House Lawyers (AIGI), he or she must abide by the rules of conduct provided by the AIGI’s code. Although this does not contain specific provisions regarding confidential correspondence, it establishes in its Article 7 that in-house counsel must keep confidential all the information of which they become aware by reason of their professional activity, even after termination of their employment. As a general rule, the burden of proof lies on the party asserting a right or entitlement (under Article 2697 of the Italian Civil Code). According to Article 115 CCP, the court might reach a decision not only on the basis of the evidence filed by the parties but also on the basis of the uncontested facts and might even rely on factual elements that are common knowledge. In the Italian civil judicial system, the key role in the taking of evidence is played by the parties, as they may produce all the documents that prove the facts on which their claims rely, without any prior authorisation by the judge. With certain exceptions (e.g., notarised deeds), the court can evaluate any evidence at its cautious discretion,14 provided that specific motivations of such evaluation are given in the judgment. The notarised deeds, unless proven to be false, conclusively prove the declarations of the parties set out therein and the facts that the notary declares to have occurred in his or her presence. Email and electronic documents are considered as signed documents if they bear the electronic signature of their author in accordance with Legislative Decree No. 82/2005. The law allows civil or commercial disputes to be resolved either directly by the parties (e.g., by a settlement agreement), or by the parties assisted by a third person deprived of decision-making authority but empowered to suggest possible solutions (e.g., mediation) or, if the type of dispute allows it, by a third party entrusted by the parties with decision-making authority (i.e., arbitration). 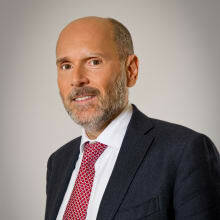 Arbitration on civil and commercial disputes is very common in Italy. Although arbitration is faster and ensures a high level of technical expertise and confidentiality, court proceedings are often preferred as costs can be lower. The arbitrator’s decision shall be legally binding on the parties and is as enforceable as a state judge’s decision. 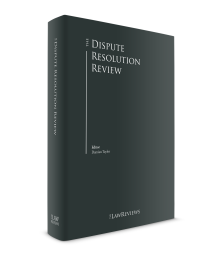 The general rules governing arbitration are set out in Articles 806 to 840 CCP. Specific rules are established by Legislative Decree No. 5/2003 for corporate matters, and by Legislative Decree No. 50/2016 for disputes arising out of public procurement contracts. In addition, other specific limits are provided for by the CCP and other laws. For example, individual employment disputes are arbitrable, but only if the collective employment contract or the law so provide. Disputes concerning bankruptcy and other insolvency proceedings are subject to the exclusive jurisdiction of the state courts. 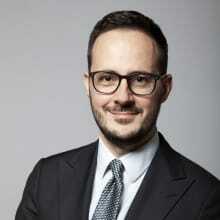 In foreign arbitration, the parties cannot seek support measures from Italian courts. A party seeking recognition and enforcement of a foreign award must apply to the competent court of appeal, which will decide on the basis of the regime set out in Articles 839 and 840 CCP (reflecting the criteria established by Articles IV and V of the 1958 New York Convention on the Recognition and Enforcement of Arbitral Awards entered into force for Italy on 1 May 1969). The arbitration can be either ad hoc or administered.26 In Italy, arbitration governed by institutional rules (e.g., those of the ICC or the Milan Chamber of Arbitration) is quite common. When the parties agree to this type of arbitration, the arbitral award has the effects of a contract between parties. It is debatable whether this contractual determination is subject to the recognition and enforcement rules established by the 1958 New York Convention. The arbitral award can be challenged before the court of appeal of the district at the seat of arbitration.27 The parties to the arbitration may request that the award be annulled or revoked. Moreover, a third party may file an opposition against the award where it causes prejudice to its rights. The grounds for appeal are established by Article 829 CCP and are there are two types, errores in procedendo and errores in iudicando. The appeal on the grounds of errores in procedendo is admissible in any case, even if the parties have agreed that the award is not subject to appeal. The appeal based on errores in iudicando is admissible only if expressly provided by the arbitration agreement or by the law. The award can be revoked if it stems from one party’s fraud, or it is based on evidence that is proven to be false after the award, or documents that could not be filed in the arbitration proceedings because of force majeure or the other party’s behaviour are discovered after the award, or the award stems from the arbitrator’s fraud established by a final decision by the judge. With regard to certain matters (e.g., insurance, financial and banking agreements), Legislative Decree No. 28/2010 provided for a compulsory attempt at conciliation with the assistance of a qualified mediator prior to commencing court proceedings. Arbitrage is governed by Article 1349 of the Civil Code and is entirely different from arbitration. In arbitrage the parties delegate a third person, by means of an ad hoc agreement, to determine an element of a legal relationship in the process of being created. The parties commit themselves to the third person’s determination. Contractual expertise is not regulated by the law. By means of an ad hoc agreement, the parties appoint a third party to ascertain a certain fact requiring specialist knowledge, committing themselves to the expert’s decision. Contractual expertise is rather common, especially in insurance matters to determine the amount of damage. Lawyer negotiation is a procedure regulated by Law Decree No. 132/2014. It must be triggered by the party wishing to begin a lawsuit in the specific cases indicated by the law. The result of this negotiation is a written agreement, which – in case of breach of the obligations provided therein – is title both for the commencement of an enforcement proceeding and for the raise of a mortgage against the defaulting party. Unlike in recent years, in 2017 there have been no significant reforms to the Italian rules on civil procedure. The reforms enacted from 2009 to 2014, designed to reduce the number of pending disputes before Italian courts and to expedite the average duration of court proceedings, have been partially successful: the number of pending cases has significantly decreased from 5,700,105 in 31 December 2009 to 3,719,284 in 30 June 2017. Furthermore, the average duration of first instance proceedings has also dropped, from 487 days in 2014 to 375 days in 2016. 1 Monica Iacoviello, Vittorio Allavena, Paolo Di Giovanni and Tommaso Faelli are partners at BonelliErede. 2 Article 163 bis CCP. 3 Only 11 civil courts have jurisdiction over class actions. The Court of Turin has jurisdiction over the Valle d’Aosta region; the Court of Venice over Trentino-Alto Adige and Friuli-Venezia Giulia; the Court of Rome over Marche, Umbria and Molise; and the Court of Naples over Basilicata and Calabria. 4 On 21 November 2016, the Supreme Court clarified that, if a court of appeal regards a claim as admissible, the decision may not be further challenged. Conversely, the possibility to challenge a court of appeal’s inadmissibility ruling, which was excluded by Supreme Court’s decision dated 14 June 2012, is now controversial. In fact, the matter has been referred to the United Divisions of the Supreme Court on 24 April 2015, and the court has not ruled yet. 5 Court of Appeal of Milan, No. 3756/2017 of 25 August 2017. 6 Article 10 of the Code. 7 Article 28 of the Code. 8 Article 24 of the Code. 9 Article 68 of the Code. 10 Article 24(f) of the Data Protection Code. 11 This ‘consent exception’ does not avoid the need of previously informing the data subject of the processing of its personal data. However, if the prior information may put at risk the acquisition of the relevant evidence, it can be postponed to a later time (see Article 13, Paragraph 5(b) of the Data Protection Code, and Italian Data Protection Authority decision of 6 November 2008 on defensive investigations). 12 Note that the European data protection authority (Article 29 Working Party) adopted a strict interpretation of the above-mentioned ‘defensive’ exception in case of personal data transfer outside the EU territory (see Working document on a common interpretation of Article 26(1) of Directive 95/46/EC of 24 October 1995 of 25 November 2005), aimed at avoiding ‘massive’ transfer of personal data. In this regard, processing of personal data for defensive needs must be actually necessary. 13 Decision of the Italian Supreme Court No. 7783 of 3 April 2014, recently confirmed by Italian Supreme Court, Criminal Section, No. 43414 of 13 October 2016, and No. 33560 of 28 May 2015. 15 Supreme Court Decisions No. 13072 of 8 September 2003; No. 4363 of 16 May 1997; No. 2760 of 27 March 1996; and No. 9715 of 14 September 1995. 16 Articles 807, 808 and 808 bis CCP. 19 Article 669 quinquies CCP. 21 Articles 810 and 811 CCP. 24 Articles 829 and 831 CCP. 25 Articles 827 to 831 CCP. 27 Articles 828 and 831 CCP. 29 Article 831 CCP by reference to Article 404 CCP.